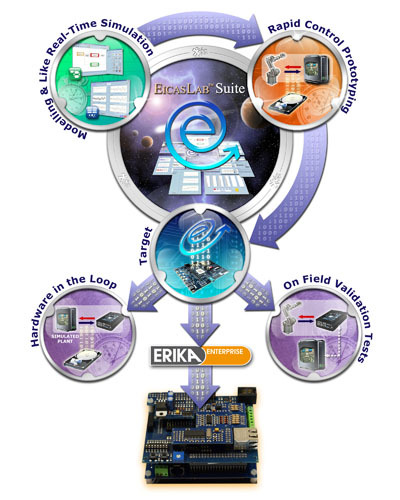 Thanks to the new EICASLAB FLEX module available in the EICASLAB software suite, it is possible to automatically generate applications running on single and multi-core embedded systems (FLEX boards targets) equipped with the ERIKA enterprise real-time kernel. The EICASLAB/ERIKA integration/cooperation enables the user to directly build - in an easy and effortless way- the whole firmware to be flashed or loaded into the selected FLEX board target. The generated code exploits the ERIKA enterprise kernel features and configurations and it is ready to be compiled with the RT-druid compiler tool. 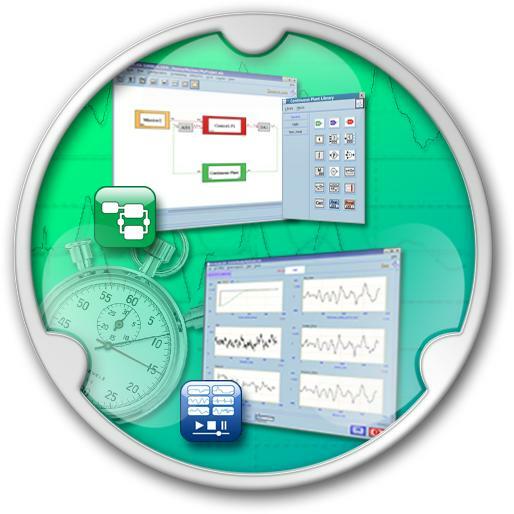 EICASLAB (www.eicaslab.com) is a professional software suite for automatic control design and forecasting, specifically conceived and developed for supporting the designers of automatic control system architectures. EICASLAB supports the designer in all the control design phases, from the system concept to the generation and validation of the final code for the target. 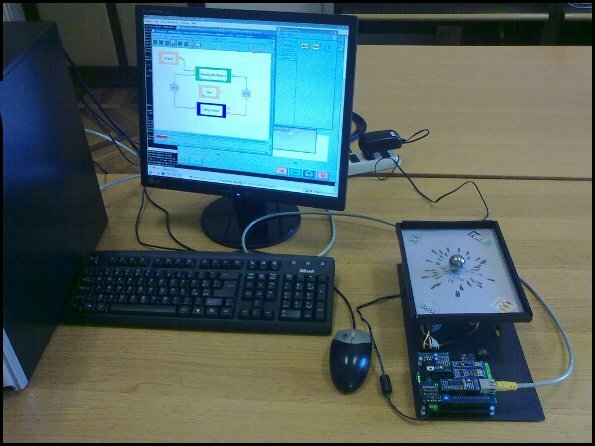 Specifically, the suite includes specific operative modes and professional tools expressly studied to drive step-by-step in the overall control design phases, starting from modelling, simulation, identification and optimisation, moving to the rapid control prototyping, ending with the automatic code generation for the final hardware target, the hardware-in-the-loop and the final in-field validation tests. 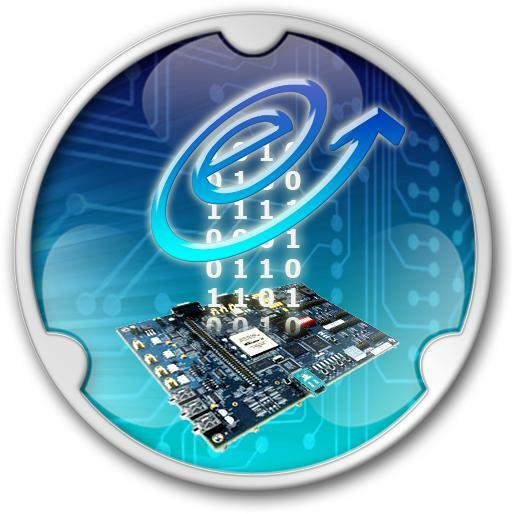 Automatic Algorithm & Code Generation, management of multi-processor architectures and multi-level hierarchical controls, Rapid Control Prototyping and hardware-in-the-loop are part of the overall capabilities offered by the EICASLAB suite. Here below a sketch of each operative mode is provided. 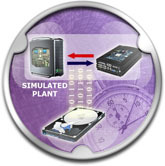 The Rapid Control Prototyping operative mode allows the designer to validate the same control code (Application Software) already tested in “like real-time” simulation, now executing it in real-time by using the EICASLAB RCP platform (a single standard multi core PC, equipped with the EICASLAB suite, a Linux RTOS and suitable hardware input/output devices) able to pilot the real plant. 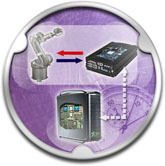 The operative mode includes the automatic code generation of the Basic Software necessary to manage the RCP Platform. 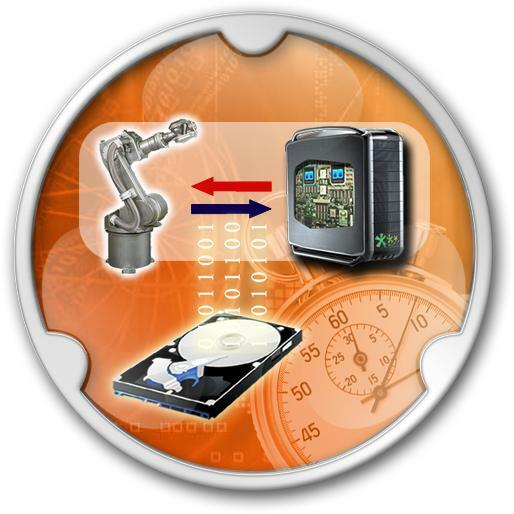 to execute in real-time the hardware-in-the-loop and in-field validation tests. Once generated the control code as compliant with both the ERIKA kernel environment and the selected FLEX board target, it can be directly transferred into the RT-druid tool for performing the compiling process and then into the final FLEX board target for being executed. Both hardware-in-the-loop and final in-field validation tests can be again exploited by using the above mentioned EICASLAB RCP Platform suitably connected with the final hardware target. Two submodes are foreseen, as below described. First Target submode: on field validation test. The target hardware is programmed with the generated code and it commands the real plant. If needed, the RCP platform can be suitable connected to the target to run as host PC that works as monitoring system. The overall trial is managed through the EICASLAB TARGET Manager Tool running on the EICASLAB RCP platform. During the execution on the target, data can be visualized on the TARGET Manager GUI and they can also be recorded on the disk for a further post processing analysis. Second Target submode: hardware-in-the-loop. The control algorithms run on the final target suitable connected with the EICASLAB RCP platform, in which the simulated plant is executed. The overall trial is managed through the EICASLAB HIL Manager Tool running on the EICASLAB RCP platform. During the hardware-in-the-loop execution, data can be visualized on the HIL Manager Tool GUI and they can also be recorded on the disk for a further post processing analysis. The EVIDENCE Amazing ball platform is well representative as use case of the FLEX EICASLAB module conceived for developing application for embedded systems equipped with ERIKA enterprise real-time kernel. The Amazing Ball is a complete, ready-to-use system for learning and teaching real-time automatic control. It consists in a steel plate pivoted on a central joint (the system has 2 degrees of freedom ensured by two servos connected to the plate) with a high resolution touchscreen that measures the coordinates of the ball mounted on top of the plate. A FLEX Demo2 board equipped with Microchip dsPIC®33F microcontroller controls the hardware using Erika Enterprise. A series of webinars, available in the EICASLAB media section under the Demo & Use Cases item, shows how it is possible to easily implement all the steps of the Amazing Ball control design just using the EICASLAB RCP Platform equipped, in this specific case, with the Linux RTAI O/S and with the EICASLAB suite. You will be driven step-by-step along all the Amazing Ball control design phases, starting from modelling and simulation, moving to the rapid control prototyping, ending to the automatic code generation for the final target and the final in-field validation tests. All the steps will be implemented by using the EICASLAB RCP Platform and the suitable EICASLAB operative modes above mentioned.